I can’t believe I sat on Supergiant Games’ Pyre for so long. What a lovely game about cosmic handball and friendship. The setup is a simple one. You find yourself in a vast purgatory known as the Downside, for the crime of literacy. You and your ragtag group of allies travel this desolate prison by the light of the stars, fighting rival groups in events known only as the Rites. All in the hope that you might one day win your freedom. The game focuses on the act of reading as being the all-important factor in your quest for freedom. You are a Reader and became a resident of the Downside because of this. You read from an ancient text to help your friends during the Rites. In fact, they only took you in because of this. 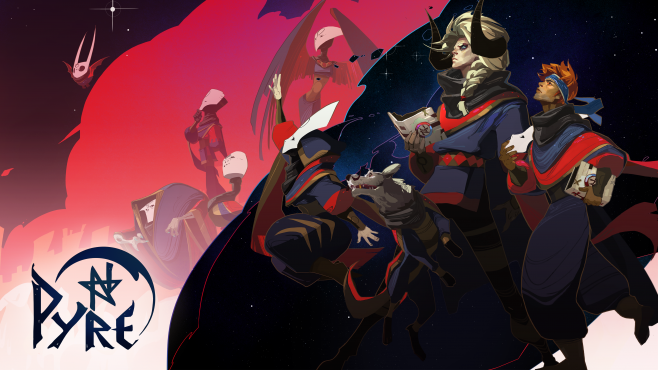 Reading it the world of Pyre will literally set you free. 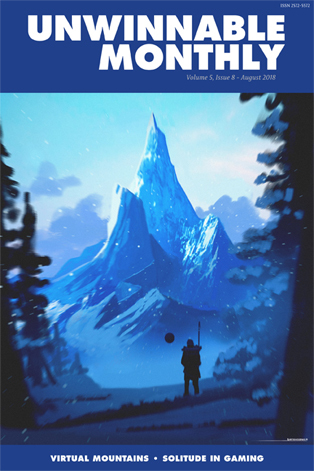 Information about the Commonwealth comes to you piecemeal, through stories told by your companions and events during your travels. An autocratic nation. it outlawed literacy to halt the spread of what it saw as dangerous ideas. It’s warlike, intent on swallowing all known lands within its borders. The crimes that can get you thrown into another plane of existence grow ever more numerous. For all of the emphasis placed on reading, it’s the game’s oral traditions that give life to this world’s inhabitants. The majority of the characters you meet cannot read, yet they know about the Rites. They know how to conduct themselves and what is at stake. All of this lives on in the stories that people tell each other. Even before sporting battle commences, the two sides first formally meet and exchange salutations and threats. Adding, in their own personal ways, to the history of the place. It is the accepted way of things. Oral traditions and histories can sometimes be frowned up in the West, enamored as we are with books and the recording of history. There’s a lie that books are somehow more truthful. That oral history is in danger of changing, being forgotten; for events to change and change again. Yet books are open to interpretation by the reader. The words within are written from an author’s point of view. The adulation granted to the written word is to denigrate folklore. It’s at heart a classist divide designed to remove the illiterate, the unworthy from history. The Commonwealth place great value on the written word and took to outlawing it among the people. Late in the game, you’re tasked with enacting The Plan. Sparking revolution, overthrowing the Commonwealth’s ruling class and putting an end to the banishments. Every ally freed through the Rites goes on to play a part in rallying the people, increasing The Plan’s chances of success. In the end, a printing press isn’t required. While your allies cannot read or write, they can tell your story. The people are emboldened by their tales of heroism. Daring deeds and people wrongly imprisoned giving it their all to get back to the ones they love. Telling stories by the fire is how we first made sense of the world. In the dead space of the Downside, story keeps its people alive. A wild place made familiar. You can be sure that no two tellings of the story are the same. The accounts of your adventures in the Downside are colored by the personalities recalling them. The story becomes a voice that transcends the limitations of leather bindings and pages. An emotional heart that can’t be transcribed. Burning like a pyre.